Free Shipping on All Orders Over 1000 INR! By ordering from WHISKERS.in, an online property belonging to Optimus Lifestyle Private Limited, you agree to be bound by the following terms and conditions. WHISKERS (Optimus Lifestyle Pvt. Ltd.) reserves the right to update these terms at anytime without prior notice. All prices are in Indian Rupees (Rs.). We will not process your order until we receive full payment. Products wont be handed over until the buyer pays full amount to the delivery boy when the order is processed by Cash On Delivery. We must be notified within 24 hours of delivery for any defects. We may request that you return 100% of a defective order within 5 business days before we agree to redo your order. WHISKERS (Optimus Lifestyle Pvt. Ltd.) will gladly reimburse return shipment costs of authorised exchanges/returns. We are not liable for errors committed by you during the course of personalising a product. These errors, though not limited to, may be a result of the following: misspelling, bleeds, grammar, punctuation, or image resolution incase of customisation if available. We will ship out your order within 2 business days in order to ensure that it reaches its destination within 5 business days. The accuracy may defer and there is no guarantee or warranty. The transit time of 3 days is only an estimate and we are not liable for delays by our shipping partner. Currently, we ship to all major cities and towns in India. If the product you ordered is damaged during shipping we will replace it at no charge to you. You must be of legal age to use our site. You must provide a valid email address and any other information requested by WHISKERS to complete your order. We reserve the right to refuse an order without disclosing a reason. 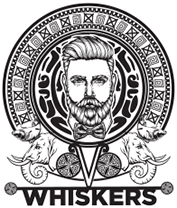 Creating a link to our website from another website will be considered as criminal offence and should not be done without any written permission from WHISKERS. The customer will defend and hold WHISKERS (Optimus Lifestyle Pvt. Ltd.) harmless in any suit or court action brought against WHISKERS (Optimus Lifestyle Pvt. Ltd.) by others for alleged damages, costs, expenses (including reasonable attorney’s fees), liabilities or losses resulting from circumstances where WHISKERS (Optimus Lifestyle Pvt. Ltd.), acting as the customer’s agent, uses copy, photographs, or illustrations that are believed by others to be degrading, libellous or harmful to their reputations, images, or standing in the community or which in the sole judgment of WHISKERS (Optimus Lifestyle Pvt. Ltd.) is an infringement on a trademark, trade name, service mark, copyright belonging to others, or in a suit or court action brought against WHISKERS for actions of the customer’s employees which may occur. We as a merchant shall be under no liability whatsoever in respect of any loss or damage arising directly or indirectly out of the decline of authorisation for any Transaction, on Account of the Cardholder having exceeded the preset limit mutually agreed by us with our acquiring bank from time to time. Your access to WHISKERS may be terminated or suspended at any time, without notice and for any reason. The laws of India shall govern the performance of these Terms and Conditions, without regard to such state’s conflicts of laws principles. You consent to the exclusive jurisdiction and venue of the courts located in Ahmedabad (Gujarat, India) for all disputes arising out of, or relating to, the Terms and Conditions and use of this site.